Save money when you buy the RS Pro RS52 Thermometer, RS Pro General Purpose Mineral Insulated Probes and the RS Pro Type K and T Surface Probes together in this great value bundle. The digital hand held thermometer is suitable for environmental test and measurement. These digital thermometers have an easy to read LCD display and optional measurement preference. The choice of data loggers can be based on many factors. The RS Pro 52 models offer a large display count of up to 1999. They also benefit from having a real-time stamp feature for minimum, maximum and average measurements. Note: The values given indicate the specified model's total capability. All figures are dependent upon the thermocouple type being used. See the technical specifications for further information. A series of RS Pro Temperature Probes. These probes can be carefully bent and shaped making them perfect for your application. All models are highly reliable and excellent quality. 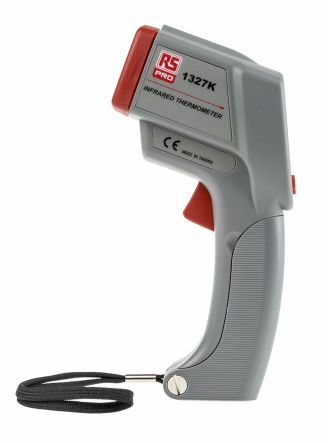 A series of RS Pro Temperature probes. These low mass surface probes feature a sprung draught shield which protects the tip when not in use. The tip comprises a metal 4 mm diameter disc to which the thermocouple junction is attached.